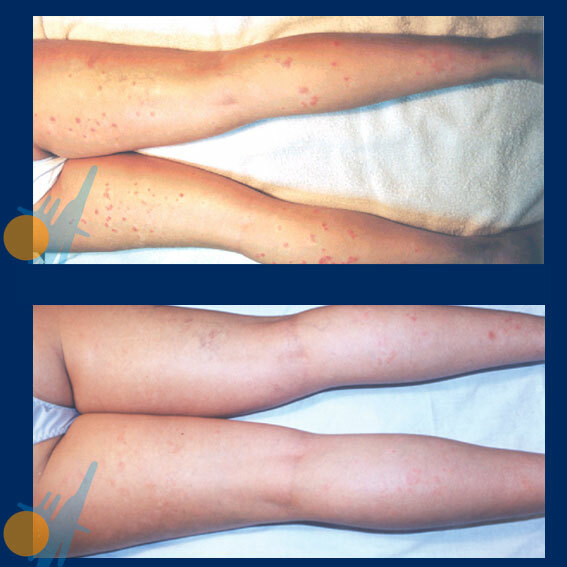 Soriasis is a non-contagious chronical skin desease which is characterized by a red and inflammated rash. Generally, it appears between 10 and 30 years, but it may manifest at any age. Today, it does not exist yet a permanent cure, but the treatment of its effects may block its advance and improve its prognosis. 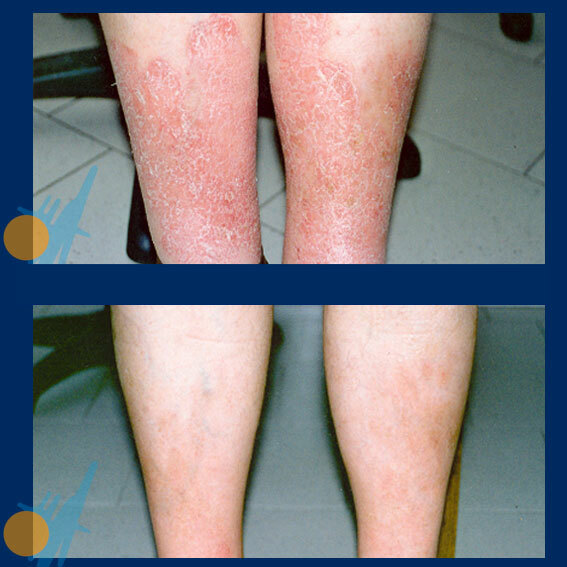 Capenergy produces a group of very beneficial effects in those people suffering from psoriasis: first, it hydrates the skin rashes, penetrating regenerative active principles which reduce discomfort and itching that the patient could feel. Second, it stimulates body detox through the forced purge of toxins and the hyperoxygenation of ill tissues. Finally, Capenergy induces a sedative and relaxing state in the patient, which somaticaly helps him in the disease recovery. The number of sessions to develop in cases of soriasis are difficult to establish, since they are related to the aggressivity level of the soriasis itself and the body extension. Even though results are already visible within the first five sessions, the patient may need up to 50 sessions or more in the worst cases to obtain the absolute dischargee.